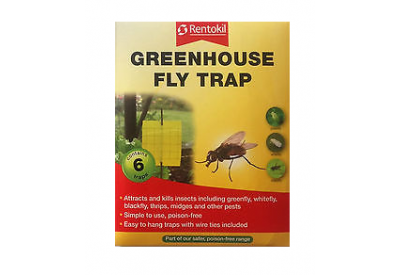 Rentokil Greenhouse Fly Traps attract and kill insects including greenfly, whitefly, blackfly, thrips, midges and other pests. 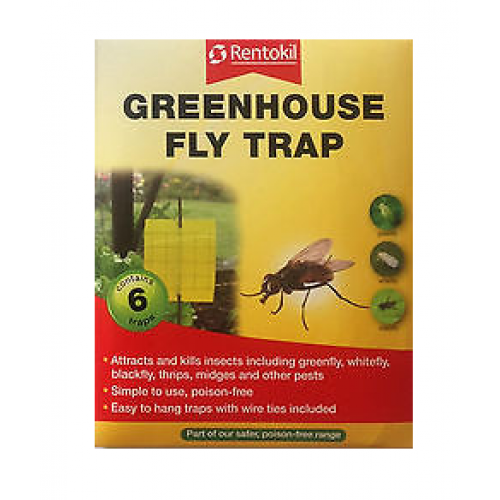 Poison-free traps, which attract and kill garden pests, ideal for use in greenhouses and conservatories. Easy to hang traps with wire ties included. Their aureolin yellow coloured surface reflects UV light at a wavelength irresistible to flying insects. This attracts flies and pests, which are then caught on the trap.